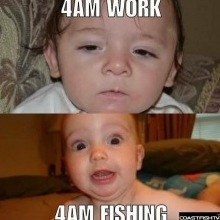 Hi Jim, I don't fish there myself but you may want to take a drive to Sebastian Inlet, not too far from Melbourne. I've been fishing south of there in the intercoastal, water in the river has been in the 60's where I am, and it seems to have slowed the bite, but it's worth a try. I think south of Sebastian there is also some roadside access to the intercoastal that you could check out as well. With the grass dying off in the IRL, and having been born and raised here, I believe I would look further south. It will be years before this area cleans up its act and stops letting nutrients overload the river and ruin it. There are lots of access points to the lagoon of A1A, and fishing is decent enough. I’ve been taking my kayak out a fair amount as the ocean is, well, not brilliant! The last few weeks it has been small blues, and the occasional mackerel. Much smaller blues than usual. I believe the resident population of blues were devistated by the red tide of a few months ago. These are all babies. The good news is they are ubiquitous. Not sure what impact the red tide had on other migratory species. There are more flat fish than you think in the river. Saw a doormat caught off a local dock to the South of you. Small jig head and pick a rootbeer body and go for it. You may also find some trout. I caught some big trout in the lagoon yesterday - little ones in the early afternoon, bigger, two were 20” in the late afternoon. This was kayaking close to Pelican Isalnd off the Jungle trail. 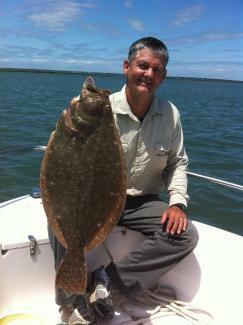 Caught a surprise flounder on a doa shirimp a few days ago at the Inlet off the bank. If you’re into bass felsmere reservoir at the stick marsh is, apparently, good. 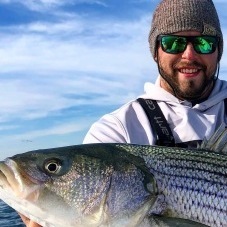 Colder water actually brings in the bigger one into the inlet... the real big ones stay offshore and even those dont reach the size that we caught up in NY/Conn ....But big blues are a hit or miss with shore fishing down here... oh what do you call big? Didn’t see dead blues. 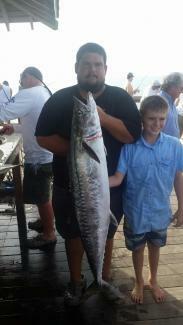 I did see some mackerel, at least a couple of snook, other unidentifiable predator fish mixed in with the mullet. I spent one morning with a pail and gloves hauling tons of dead fish in the middle of it.